Looking for British food in New York? Sometimes, no matter where you are, you crave a taste of home! A full English breakfast, typical British sweets, a good cup of tea or a traditional roast dinner, you might miss all that when you’re spending time in New York. If you are looking to add some good ol’ English flavour to your New York experience, head to one of these places for traditional British fare. There’s nothing like a full English, especially to get you ready for a long day of sightseeing in New York. 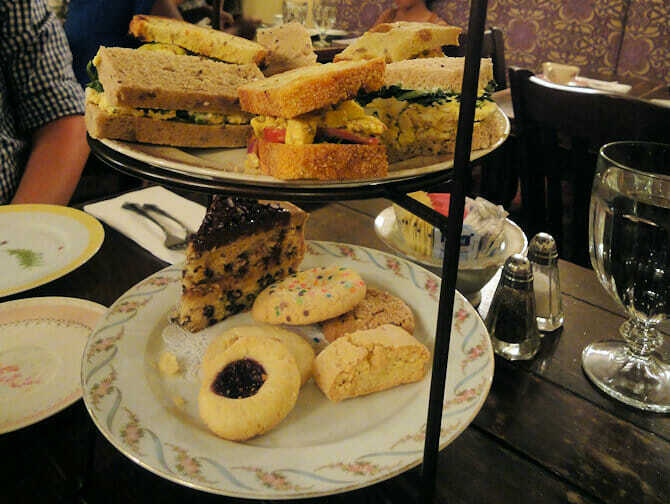 Tea and Sympathy in West Village is a small café/restaurant offering all things British. From a full English breakfast and a proper cup of tea to roast beef with Yorkshire pudding and even scones and Ribena! You can book a table during the week for breakfast, lunch and dinner: at the weekend, they accept walk in’s only. They also have an adjoining shop offering all sorts of typically British fare, such as, salt and vinegar crisps, Cadbury chocolate, Marmite and tea. The store is expensive compared to UK prices due to the importation costs. The very British tradition of afternoon tea has definitely crossed the atlantic. New York offers a wide selection of places to enjoy this pastime. Be it super posh or low-key, there is something for everyone. Along with serving a full fry up, Tea and Sympathy (see above for more details) is also a nice place to get a good cup of “real” tea with a selection of snacks and cakes. For an extra classy (and pricey) afternoon tea go to the iconic Palm Court at The Plaza. The beautiful bar serves a variety of tea, including Big Ben English Breakfast, with a wide array of chic bites, great for a special occasion. For an Afternoon tea with a hint of magic, try Alice’s Tea Cup. This Alice in Wonderland themed tea room is a charming place to escape the bustle for a nice cup of tea and a cake. This wonderland full of freshly baked cookies, cake, scones and dozens of different flavoured teas has three different locations in the Upper East and Upper West Side of New York. 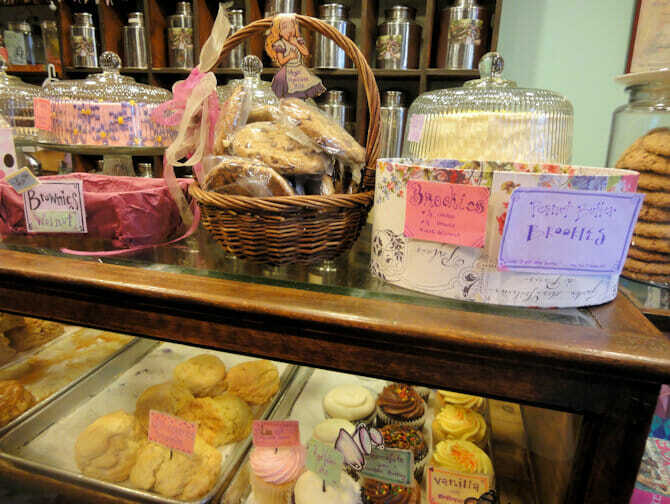 New York has an abundance of confectioners offering all kinds of sweets and chocolate. 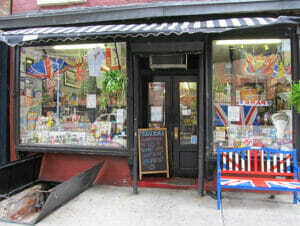 However, if you are looking for something typically British, head to Economy Candy in the Lower East Side. This Rivington Street store offers an inordinate selection of sweet treats from all over the world. From the UK, you can find classics like Aero, Cadbury, Maltesers and Mars. Looking for a traditional roast? Whether it be for Christmas, Thanksgiving or just a Sunday dinner. New York, as always, has something for you. An Upper East Side pub and restaurant, Jones Wood Foundry offers all kinds of English food, including Welsh rarebit, bangers and mash and shepherd’s pie. On their brunch menu, they offer roast beef and Yorkshire pudding. This Greenwich Village tavern offers a traditional roast dinner every Sunday, with all the trimmings. Not there on a Sunday? They also have a varied menu with an abundance of British food. The Churchill Tavern in Flatiron District, is an English Tavern offering a Sunday roast every Sunday from noon. They also offer a good selection of other dishes and a large range of craft beers. There are a few great chippy’s in New York City serving traditional crispy battered fish and real chips, including The Churchill Tavern (see above) close to Park Avenue (no french fries here!). You can even find mushy peas, tartare and English curry sauce! If you are looking for some cosy comfort food or just want to see how New York compares to the UK in the chippy stakes, read more about where to find the best fish and chips in New York here. Feel like a quick lunch on the go with a British theme? Head to Myre’s of Keswick in Meatpacking District. This British owned store not only stocks a wide array of English products, including Christmas puddings, cheeses and even toiletries. They also have a fresh counter serving pies, scotch eggs, scones and home-made sausages.